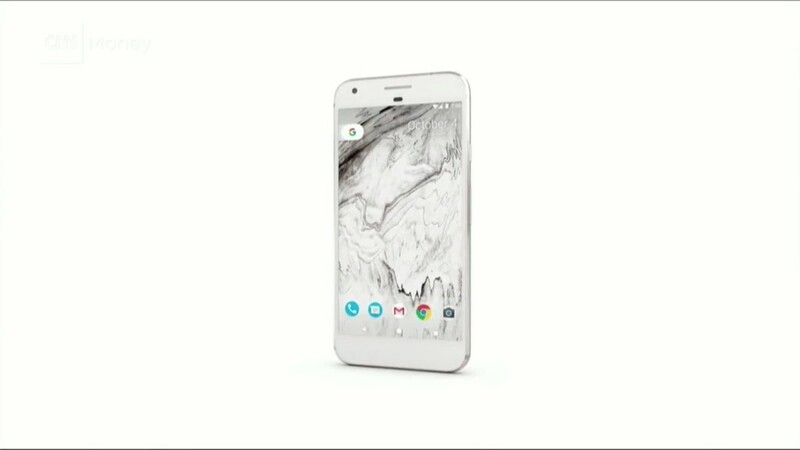 Google is doubling down on hardware. The U.S. search giant said Thursday it will pay $1.1 billion to get its hands on smartphone expertise from struggling Taiwanese manufacturer HTC. Under the deal, Google (GOOGL) will bring on board about 2,000 HTC engineers and technical staff. It will also license some of the Taiwanese firm's intellectual property in a separate agreement, the companies said in a statement. Google said the move shows its commitment to venturing further into the market for smartphones and other devices. "It's still early days for Google's hardware business," Rick Osterloh, Google's senior vice president of hardware wrote in a blog post. "We're focused on building our core capabilities, while creating a portfolio of products." Those products so far include the company's Pixel smartphones, which are designed to compete with the iPhone; Google Home, a voice-controlled speaker that allows users to look things up on its extensive search database and perform other tasks; and Google Daydream View, a headset intended for the casual virtual reality user. Thursday's announcement was framed as the culmination of Google and HTC's decade-long partnership, including their work on the first smartphone to use the Android operating system. HTC is also manufacturing Pixel devices. And many of the HTC employees joining Google under the new deal are already working on Pixel phones. HTC, which has lost hundreds of millions of dollars in recent years, said the Google agreement won't hurt its own smartphone business, suggesting it will allow it to streamline its range of products. The Taiwanese company also said it will continue to pursue other technologies, including VIVE, its well-known VR unit, and artificial intelligence.